Born in 1947, Kevin Hughes studied at Reading University and then worked for several years in London illustrating articles and books. 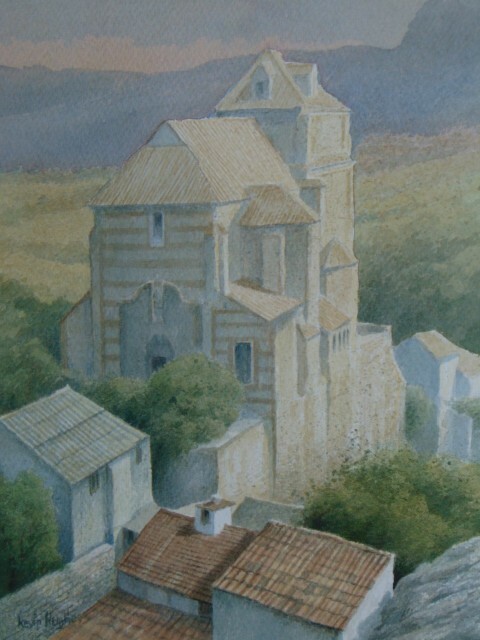 For the last twenty five years he has concentrated on his painting – mostly watercolours of landscapes, buildings and interiors although occasionally he also works in pastel and oils. Initial inspiration was purely observational stemming from the landscapes and buildings surrounding him, however, as his work progressed he became more concerned with the spatial aspects of his surroundings. In 1997 Kevin won the Pro Arte Prize and in 1999 the Benton Humphries Prize, both at the Discerning Eye. In 2004 he won third prize at the Singer & Friedlander/Sunday Times Watercolour Competition. He won the Ranelagh Press Award at the 2006 Royal Institute Exhibition, and the Rowland Hilder Award at the 2007 Royal Institute Exhibition. In 2000 he was elected to membership of The Royal Institute of Painters in Watercolour. His paintings hang in corporate and private collections in many diverse locations.